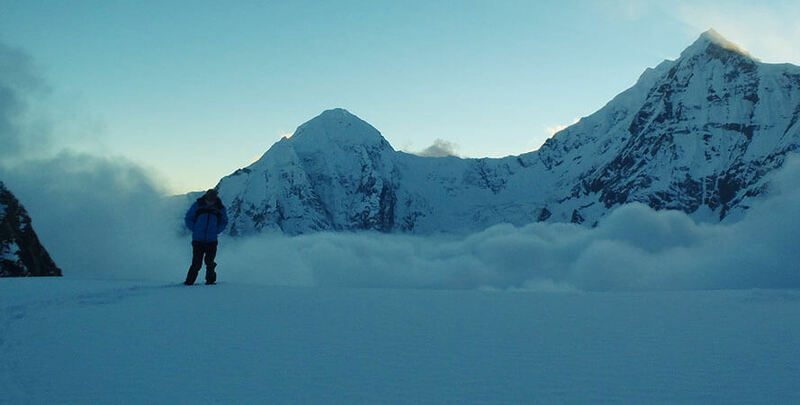 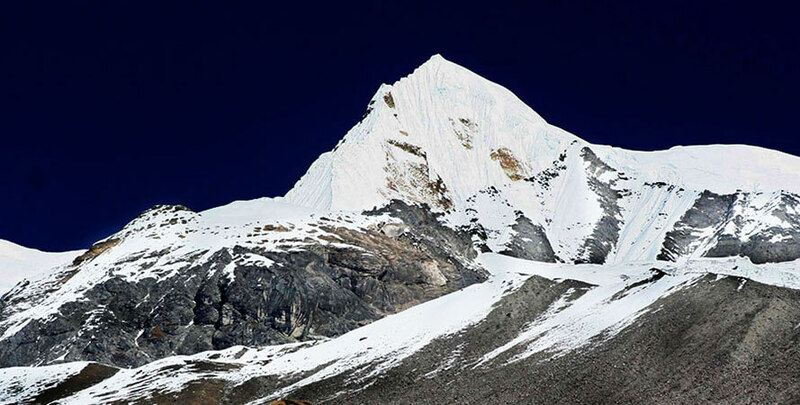 Singu Chuli peak or Fluted Peak is amongst the 3rd highest trekking peak of Nepal. 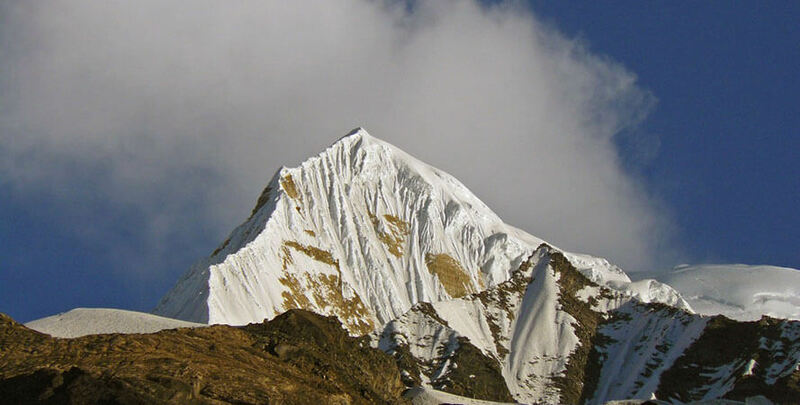 Singu Chuli Peak is situated in the Annapurna Sanctuary appended to Tharpu Chuli and Hiunchuli peaks. 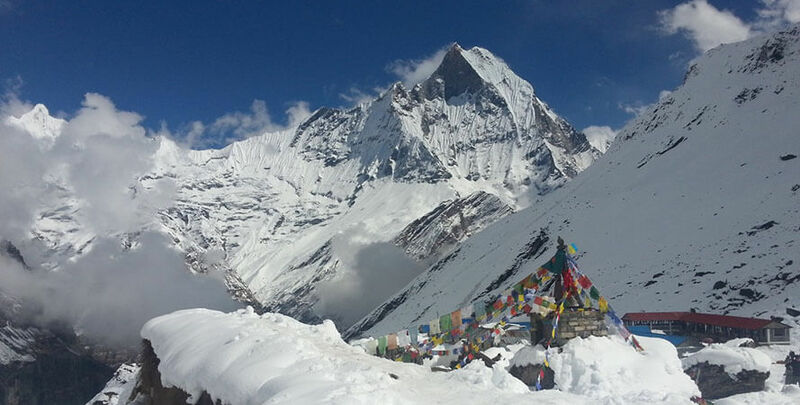 Singu Chuli Peak offers special, wonderful amphitheater of icy masses, hubs and nodes with legendary southern face of Annapurna as background. 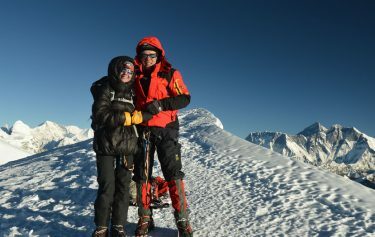 Climbing this peak requires some ice climbing experience and skills as it is steepness with 100-foot high block of ice covered with snow. 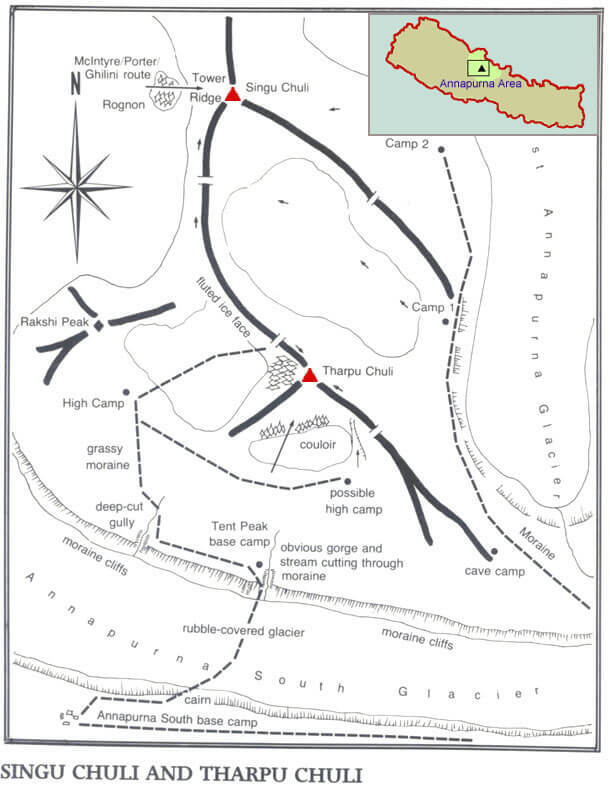 We start our climbing expedition of Singu Chuli Peak by walk from Modi Khola gorge to the Annapurna Sanctuary. 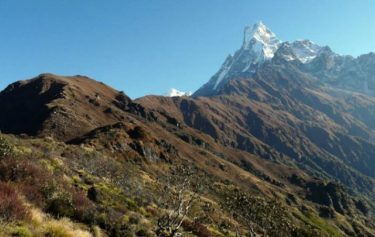 We have to trek carefully between cultivated hills and patios, marked out by prosperous village filled with Gurung natives. 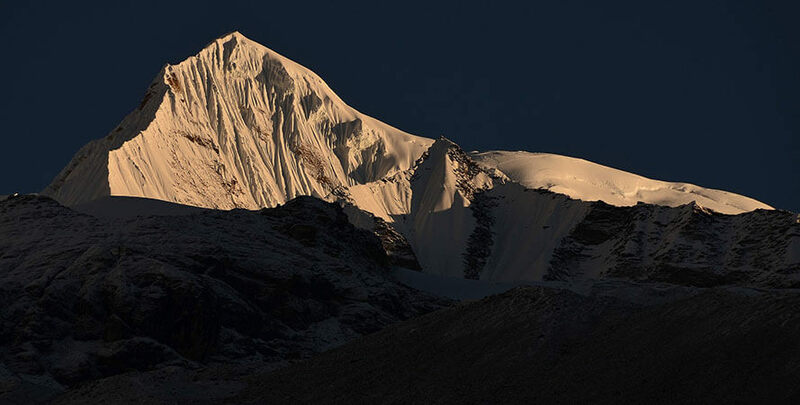 We arrange our first Base camp at an elevation of 4350m and further arrange two higher camps, at an elevation of 4,900m near North East Face and at an elevation of 5,500m higher than earlier. 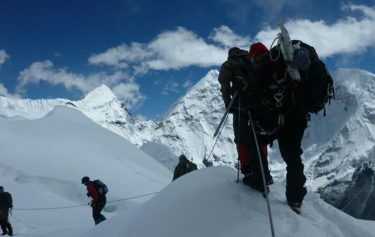 A vertical wall close to the summit requires some technical skills on this climb. 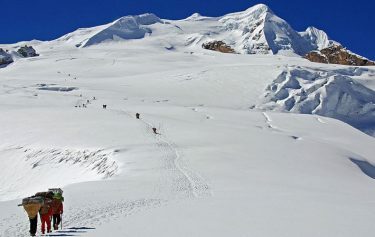 Base camp at around 4350m and then establish two higher camps, one at 4,900m at the approach of North East Face and a higher one at 5,500m. 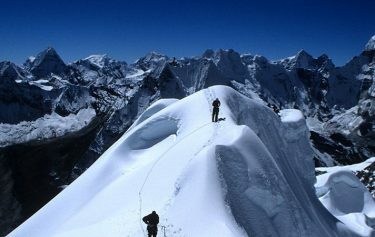 On the North East Face of the mountain before the summit is gained. 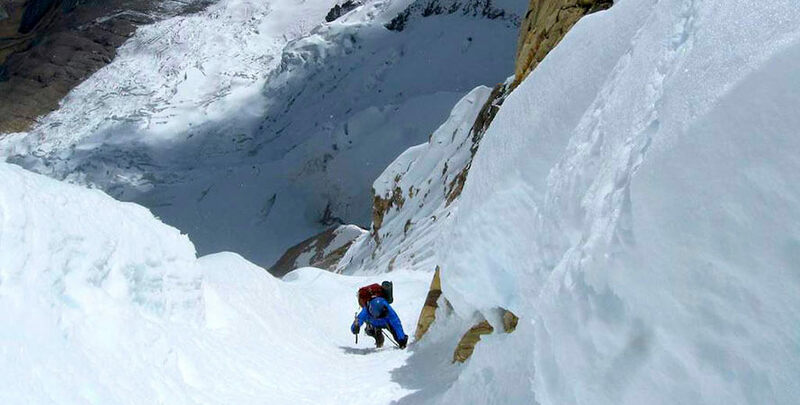 A vertical wall near the summit fronts some technical challenge on this climb. 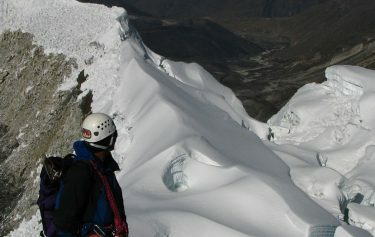 This climb is suggested to only those with some alpine and ice climbing experience.